Will you be ready for the upcoming change of season? 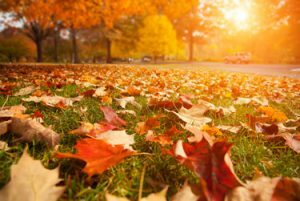 Here are some tips to use this Fall to prep your home for old man Winter! -Is your heating unit at full working capacity? In FL we are always more concerned with the AC with our brutal summers, but we too can face some chilly winters. Make sure your unit has had a yearly cleaning and inspection and change your filters! -Make sure your windows are sealed tight – and even so, adding some good drapes or blinds can always keep some drafts out. They will help retain 10-30% of heat lost through winters in the wintertime. -Check your doors weather seals – over time they wear out and with the humidity and moisture FL has they can dry rot and rip – this is ideal not just for winter but the summer months when the AC is running constantly – don’t want all your cold air escaping in the summer, but you don’t want it free to enter in the winter! -Exterior lighting may need new bulbs especially since with the fall comes the time change! When it gets dark earlier having good working lights outside is a must! Fixtures to illuminate your walkways and driveways not only spruce up your home, but allow you to see better trying to get inside. -Prep your lawn and landscaping – finding plants that can be planted in fall will flourish once Spring graces her presence again, make sure young plants get a layer of mulch helps prevent freezing. Trim back dead limbs on your trees and make sure your irrigation systems receive some TLC. -If your home has a fireplace and chimney make sure you spend some time cleaning out the fireplace and make sure the flue in operating property, have a professional sweep the chimney if necessary. Start stocking up on firewood! As always, let us know if you have any questions regarding your home – we are only a phone call away 407-957-9545. From your local Real Estate Team at Godwin Realty Group!